Buffalo pasture-raised on prairie grasses, with no antibiotics or hormones, by ranchers dedicated to providing a humane environment with minimal human interaction. Properly called bison, this meat is exquisitely tender, juicy and lean, with a deeper and sweeter flavor than beef, and more health benefits. Big game with little effort; buffalo short ribs make a sensational meal when slowly braised in wine and aromatics. 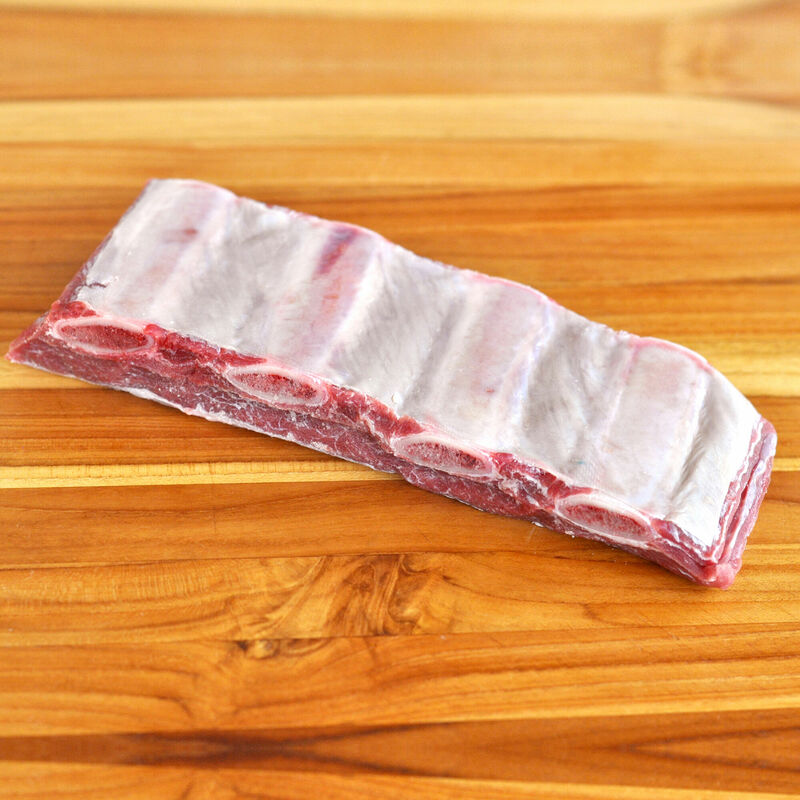 Our buffalo short ribs are perfect for the slow cooker, ideal in soups or stews, and pretty much fool proof. They are best when prepared using low temperatures and cooked for a long time, so there’s no worry about drying out the lean meat. Dredge in flour and brown the short ribs first, then douse them in the liquid of your choice and a medley of your favorite spices, and then cook for a few hours. You’ll have fall-off-the-bone, melt-in-the-mouth tender ribs with minimal effort. Buffalo is the original free-range, good-for-you red meat. Leaner than beef, pork, turkey, and even chicken, buffalo meat is not gamey and it never leaves a greasy taste in the mouth. Buffalo offers nutritionally-dense red meat with 25% to 30% more protein than beef, 25% less cholesterol and about half the calories. It is also high in iron content and possesses a sweet flavor. Because it is so lean, it cooks quicker than beef and does not shrink while cooking.